All below photos may be seen in higher resolution by simply clicking on them, and the videos all have sound and may be viewed at full screen, also. The F-35 is not just the most expensive warplane ever, it’s the most expensive weapons program ever. But here is exactly how much a single F-35 costs. A single Air Force F-35A costs a $148 million. One Marine Corps F-35B costs $251 million. 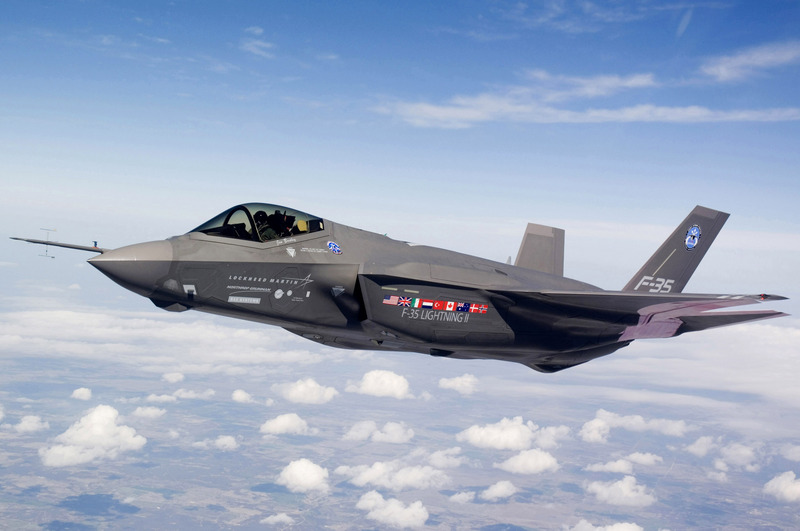 A lone Navy F-35C costs a mind-boggling $337 million. Average the three models together, and a “generic” F-35 costs $178 million. 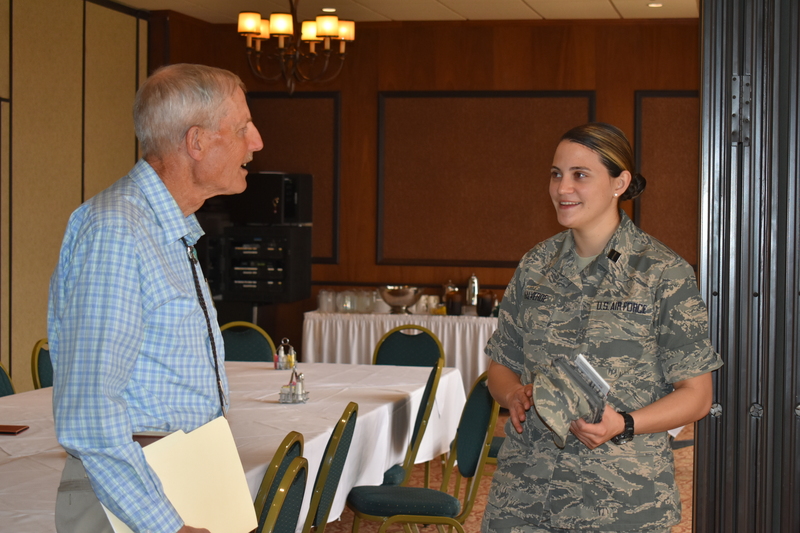 L to R: Colonel Alan Fisher and USAF ROTC Cadet, Ammber Valverde of UTEP and NMSU, chat after the F-35 Power Point presentation. Both are FASF members. The F-35A model, for the Air Force, the B model, for the Marines and the C Variant, for the USN. Unlike all previous fighters, the F-35 “Lightning II” (named after the high-speed prop-driven Lockheed P-38 Lightning of WWII fame) is unique, not only because of its advanced stealth features, but because it is a flying combat information center, with advanced electronics capabilities never before seen in a new fighter. It can also fly at supersonic speed for over 170 miles without even engaging its afterburner, which is called flying at “Super Cruise.” The F-35 was designed to work together with the only other 5th Generation fighter, the F-22 “Raptor.” The two ships will work as a team in various combat scenarios, should their help ever be needed. While the F-22 Raptor is more maneuverable, the F-35 is designed to engage and take out enemy aircraft long before the enemy has even detected the presence of the new flying weapons system. It can carry a wide array of different missiles internally, rather than attached to its fuselage and/or wings. 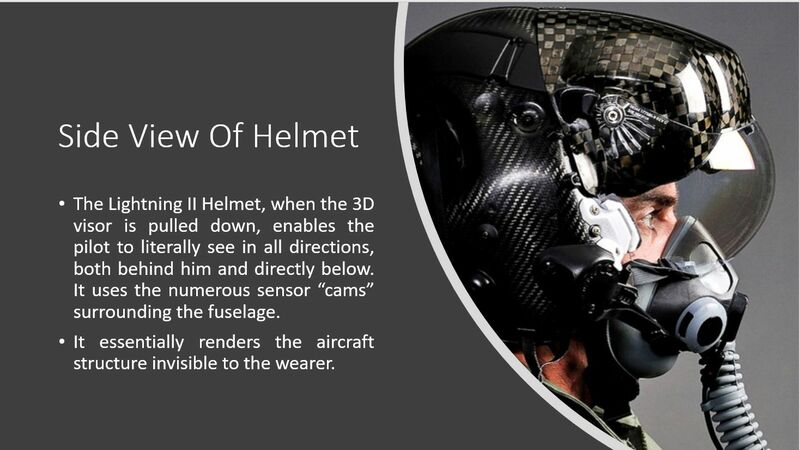 This of course does a great deal to enhance its stealth capabilities. The Lightning II is actually capable of shooting down enemy aircraft beyond the horizon. The pilots of this futuristic weapons system can actually see in all directions; wherever they look: including directly behind and directly below the fighter. It the pilot looks down between his or her knees, they can see right through the fuselage as though it were invisible. Additionally, Inputs from both ground intel and airborne recon craft are all displayed on the F-35’s integrated glass panel touch screen display, again, unlike any of its 4th or 3rd Generation predecessors. Much like the mysterious Area 51, the existence of which was never even recognized by the Air Force until relatively recently, Edwards Flight Test Center also presents a similar air of mystery, since access to it is so highly restricted. 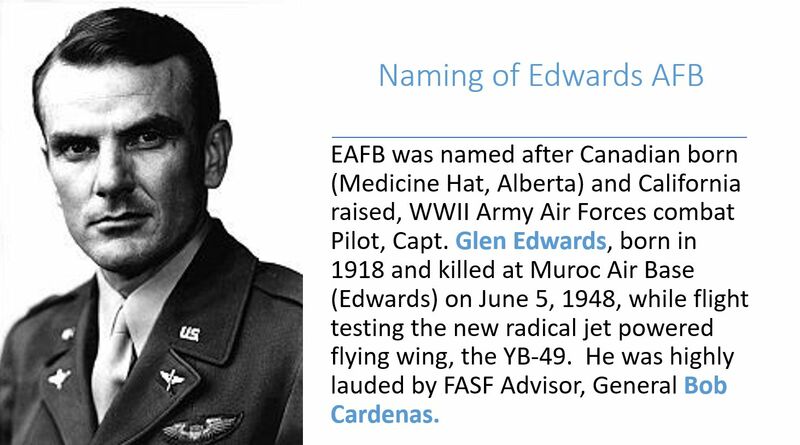 While on active duty with the Air Force, this reporter often flew in the vicinity of Edwards, but was always kept at a substantial distance, because the air space around the Base was so highly restricted. As a result, this recent visit to the facility was anticipated with no small amount of excitement. 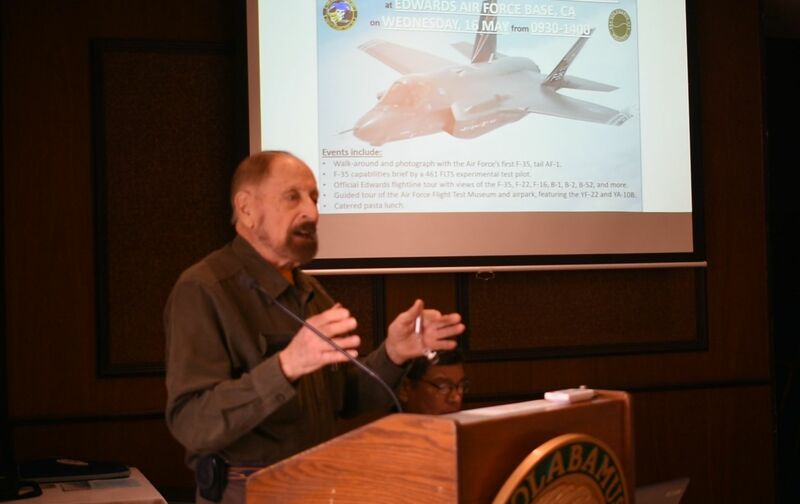 The local Daedalian Flight 56, at Edwards, invited a number of fellow Daedalians from around the country to make this special visit, so that they might learn about the United State’s newest and most advanced airborne weapons system. The 461st Flight Test Squadron, under the command of Lt. Colonel Tucker “Cinco” Hamilton (at right), played official host to the visiting Daedalians. An AFROTC graduate, Col. Hamilton has flown 30 aircraft from a zeppelin to a MiG-15 to an A-10, and, and managed the entire $3 Billion Joint Strike Fighter Developmental Test program out of the Pentagon for all three services. 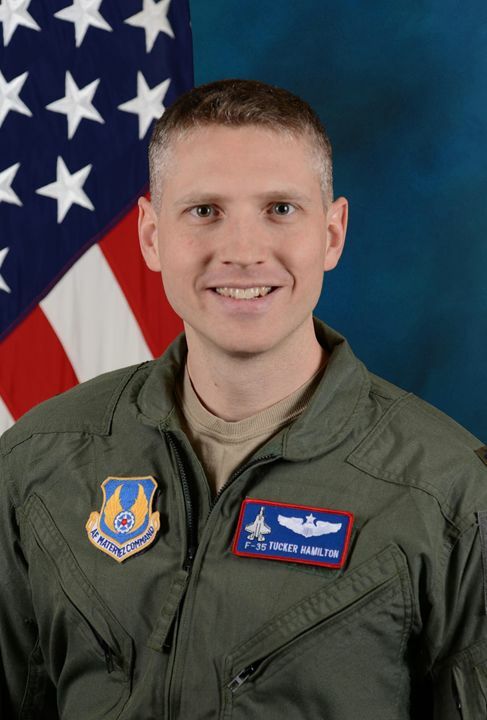 Cinco started his Air Force career as an operational F-15C pilot. 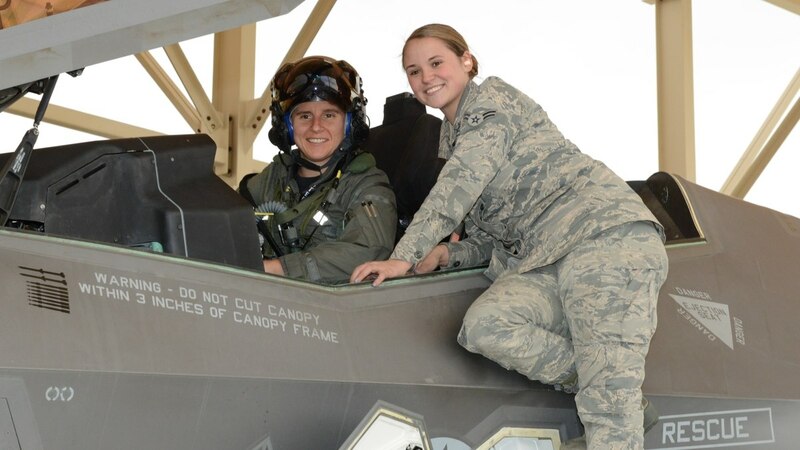 (L-R) Maj. Rachael Winiecki, the first female F-35 test pilot, and Airman 1st Class Heather Rice, her crew chief. Maj. Rachael Winiecki, a developmental test pilot for Colonel Hamilton’s 461st Flight Test Squadron, flew her first test flight in the Air Force’s most advanced fighter jet this past Dec. 14, according to the USAF. L to R: Colonel Mario Campos, Flight 24’s Commander, who operated the Power Point Show, and our top Aviation News Scout, Virgil Hemphill. 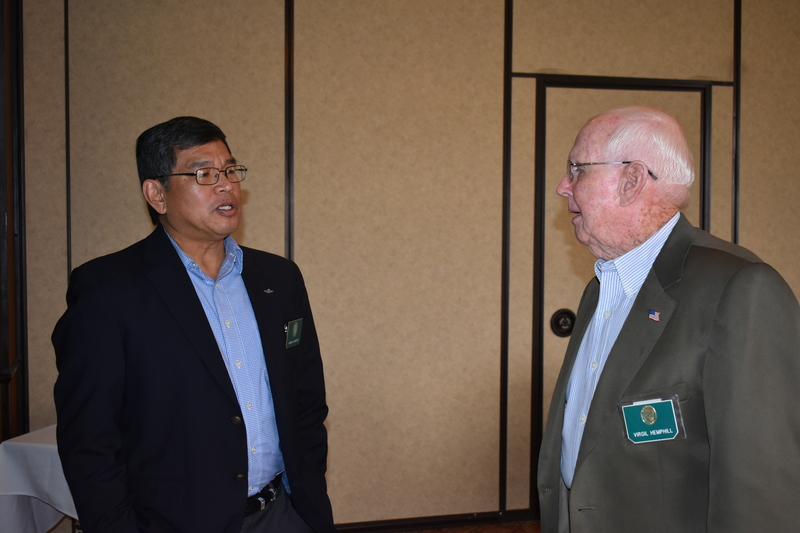 Both are FASF members. 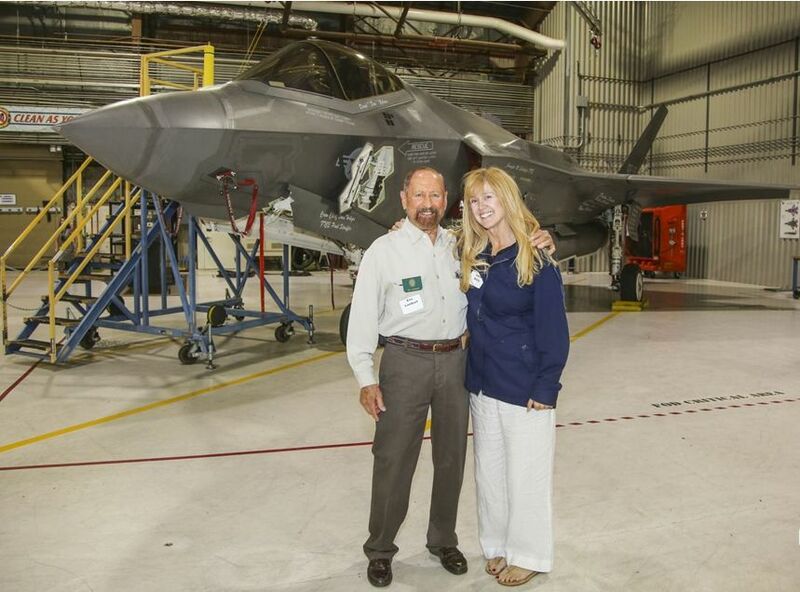 L to R: Ric Lambart and Laura Kelly, both Daedalians, pose in front of one of Edward’s test F-35’s . Kelly was an Army Helicopter Pilot. 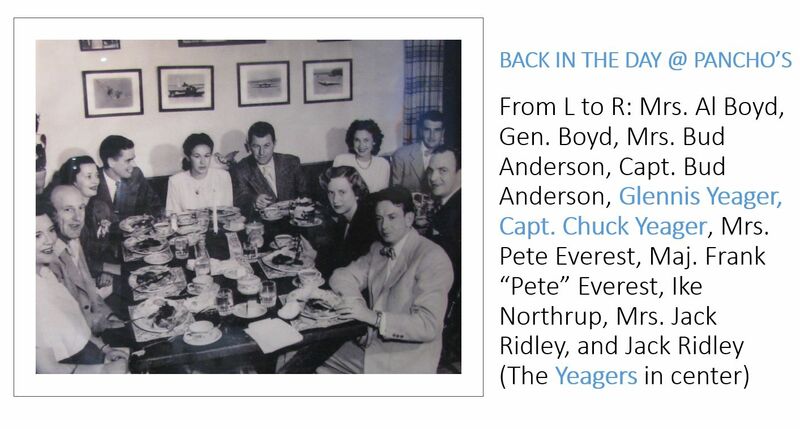 An old archived photo showing some of the Base’s famous Pilots, including Chuck Yeager at the center, with his wife, Glennis, after whom he named his rocket ship.. Yeager was the fist man to break the sound barrier – all at Edwards. 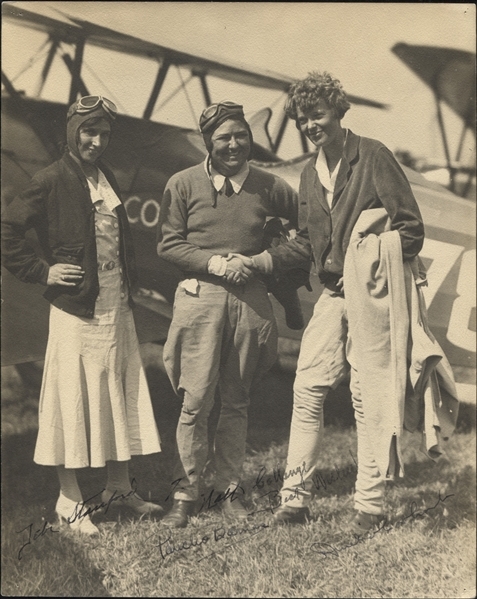 “Pancho” Barnes, (center below) who owned the famous bar and resort, “The Happy Bottom Riding Club,” was one of America’s most famous female aviators in her own right. Aside from being one of Hollywood’s best stunt pilots, she was actually the organizer of the Hollywood film industry’s first Stunt Pilot’s Union. It was at the “Riding Club” that her good friend, Chuck Yeager managed to break some of his ribs just before becoming the first human being to break the mythically impossible Sound Barrier in the Rocket Research Ship, the X-1, which bore his beloved wife’s name, “Glamorous Glennis.” Of course Yeager didn’t tell anyone about his broken ribs for fear of missing this extraordinary opportunity to make history. This particular incident is an episode in 1983 smash hit movie about the early astronauts: “The Right Stuff.” Yeager is played by actor Sam Shepard. Pancho’s Bar and Grill was the favorite hangout of all those heroic early aviators who daily risked life and limb test flying our country’s most advanced new aircraft. The below photograph was for sale at Iconic Auctions, in 2017, at the first offer of $1,000. L to R: Pioneer Female Pilots: Debie Stanford, Pancho Barnes and Amelia Earhart. This entry was posted in AVIATION NEWS, HOT NEWS!, NEW VIDEOS and tagged 1983 Movie "The Right Stuff", 3D Helmet, 461st Flight Test Squadron, A-10, A1C Heather Rice, Alan Fisher, Amelia Earhart, Ammber Valverde, Area 51, Aviatrix, Billie Flynn, Capt. Glen Edwards, Chuck and Glennis Yeager, Col. Mario Campos, Daedalian Flight 56, Daedalians, Debie Stanford, Edwards Air Force Base, F-15C, F-35 Lightning II, FASF Members, General Bob Cardenas, Happy Bottom Riding Club, Hollywood Stunt Pilot's Union, Laura Kelly, Lockheed-Martin, Lt. Col. Tucker "Cinco" Hamilton, Maj. Rachael Winiecki USAF, MIG-15, Muroc Air Base, P-38 Lightning, Pancho Barnes, Panther, Power Point Presentation, Short Field Takeoff and Landing, Stealth Fighter, USAF, USMC, USN, Variants, Vertical Takeoff and Landing, Virg Hemphill, Zepplin on January 16, 2019 by FASFRIC.